More. That's the idea behind the FIAT®500 Turbo. More power, more excitement and more fun. We took everything there is to love about the FIAT 500 and then cranked it up – starting with a turbocharger that boosts the horsepower by 34%. Then, we tuned the performance and tweaked the styling to match. The result? Nimble and fun at a remarkably affordable price. For a performance-inspired look to match its energetic powertrain, the FIAT® 500 Turbo features unique wheels with Gloss Black painted pockets. Red lacquered brake calipers complement a high-performance brake system with semi-metallic brake linings at all 4 corners and 11.1-inch ventilated front rotors for greater stopping power. The unique interior of the FIAT® 500 Turbo makes no secret of what kind of excitement you're in for when you fire up that turbocharged engine. The 2-tone sport cloth with Silver accent stitching or available leather bucket seats hold you snugly into the curves, while the leather-wrapped sport steering wheel and shift knob invite your firm, confident grip. You can see at a glance there's something special about the FIAT® 500 Turbo. A performance-designed front fascia accommodates the turbocharged engine, while enhanced aerodynamics make the most of that extra horsepower. Gloss Black headlamps accentuate the performance look, which you can enhance further with a host of authentic FIAT accessories. for control of the audio system and your Bluetooth® phone. Available voice-activated TomTom® Navigation10 takes the same hands-off approach to keeping you on the right route to your destination. If you'd like to amp the tunes up to a level that matches the energy provided by the engine, the available Beats® Premium Audio Group was made for you. This studio-quality audio package features 6 speakers plus subwoofer and an 8-channel 368-watt amplifier with proprietary digital sound processing for pristine, high-definition sound. For the automotive enthusiast who appreciates a little more adrenaline in their drive, we added a turbocharger to the already highly efficient and award-winning MultiAir®engine, along with twin intercoolers, sport-tuned exhaust, lowered sport suspension and recalibrated steering. The result is 34% more horsepower, 53% more torque and a driving experience that's hard to put into numbers. Matching the increased output of the turbocharged MultiAir® engine is a heavy-duty 5-speed manual transmission to help you wring every ounce of thrill from the FIAT® 500 Turbo. To match the increased engine performance of the FIAT® 500 Turbo, the suspension has been bolstered to make full use of the added power. Refinements include a unique lower control arm, sport-tuned spring rates and shock absorbers, and more aggressive steering calibration. To make sure all that power gets directed to where it needs to go, the FIAT® 500 Turbo comes with wheels and brakes designed to perform. The 500 Turbo features standard 16-inch wheels with high-performance brakes and an 11.1-inch diameter for enhanced braking power. Turbocharged engines are hungry for air, and the powerplant of the FIAT® 500 Turbo is no exception. Two intercoolers deliver the air required to wring maximum performance from the forced induction engine. External air is drawn from either side of the front fascia, specifically designed to maximize airflow. 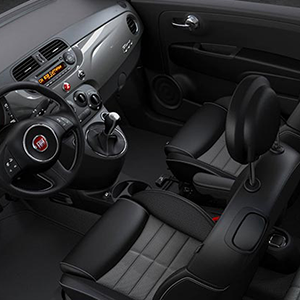 Our engineers made safety a top priority when they designed the FIAT® 500 Turbo. So it's no coincidence that the Insurance Institute for Highway Safety (IIHS) named it a 2013 Top Safety Pick. Seven standard air bags6 provide outstanding protection in the event of a crash. Advanced multistage driver and front-passenger air bags match air bag output to crash severity. Reactive front head restraints15 help reduce the risk of injury by decreasing the space between the headrest and the occupant's head in rear-impact situations. Your FIAT® 500 Turbo comes standard with 4-wheel disc antilock brakes to help improve steering control and prevent wheel lockup in extreme braking situations. To help ensure you're always travelling in precisely the direction you should be, the FIAT® 500 Turbo is equipped with Electronic Stability Control7, All Speed Traction Control and Hill Start Assist – advanced systems that apply selective braking and throttle control behind the scenes to help you get where you're going confidently and safely. 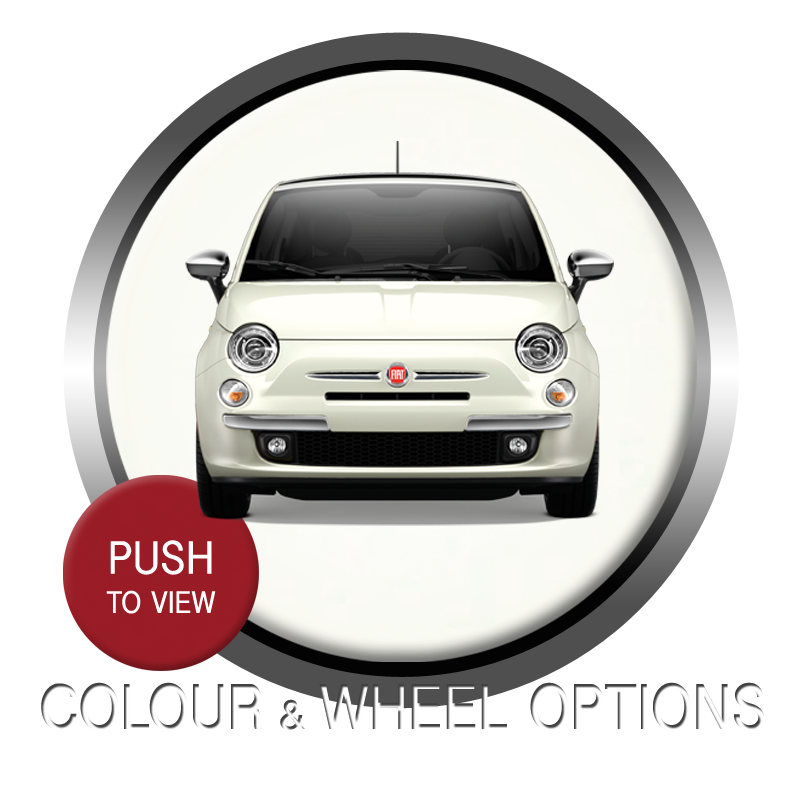 TAKE THE 2014 FIAT 500 TURBO FOR A SPIN!